Welcome to Day 4 of Refashionista! 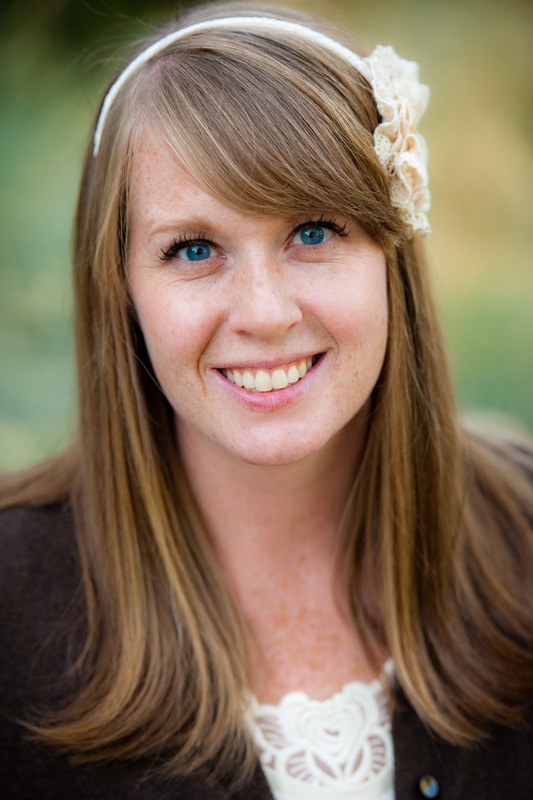 Today's guest blogger is Kalleen from At Second Street. Kalleen is a woman of many talents. She makes some of the most beautiful cakes I've ever seen. Her Pear Pie recipe is incredible and I make it all the time. Her refashions are amazing. 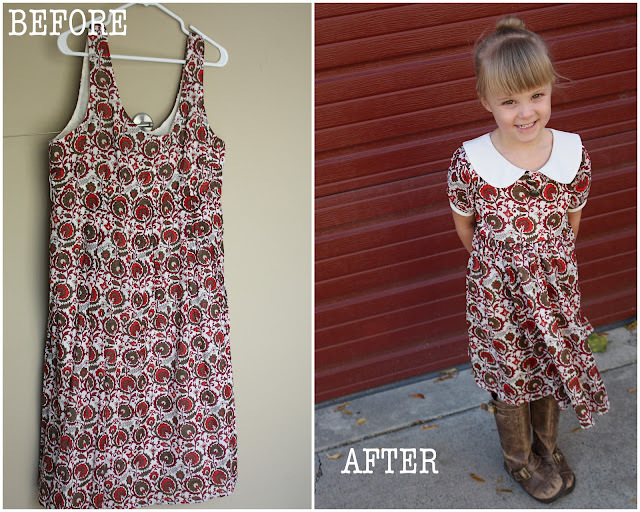 I loved THIS one and last year she did THIS great refashion for Refashionista. Beyond that Kalleen is extremely humble, gracious, and kind. She's the kind of person you wish lived next door. Welcome Kalleen! Hello Everyone, I'm Kalleen from At Second Street. I am thrilled and honored to be blogging here today. I love everything about Cheri, she's basically the momma we all wish we could be. I also love a good refashion. I hate to admit it, but I am terribly cheap. Every time I enter a fabric store I leave wanting to cry. I'm just not willing to pay what they are asking for fabric these days. Instead I like to refashion items from our donate piles (I'm so lucky to have sisters who give me all their old clothes to refashion). I also pick up things from Goodwill every once in a while. Here is one of my latest Goodwill refashions. I found this dress at the DI for $3. I fell in love with the print and new I had to make something with it. Dresses are always a jackpot because they give you enough fabric to actually use a pattern instead of just altering. I love this dress, especially the top. I knew I had to do a peter pan coller and use these fabulous vintage buttons I had in my stash. First, I cut the skirt from the bodice and seperated the lining from the outer fabric. Then I cut the bottom half of the skirt and lining to be saved as the new skirt. Using the bottom of the original skirt saved me the job of hemming the new skirt later. I used the remaining skirt fabric to cut out my bodice and sleeves. I used my own pattern, but any basic dress pattern will work. I also cut a bodice from the lining of the dress for the lining of my new bodice. I used my cut bodice pieces to cut the front and back of the peter pan collar. I traced the neckline and shoulder line then measured a curve 3" away from the neckline. I cut my collar from some extra white fabric I had in my stash. I had eight peices that looked like this, four, for the front top and bottom, and four, for the back top and bottom. I cut a curve on the four front pieces. Then I sewed each front piece to a back piece. You will now have four half collars. Two, for the top and two, for the bottom. Next I sewed the tops of the collars to the bottoms, right sides together around the front curve and bottom, leaving the neck and back side open. Turn the collars right side out, press and pin to the neckline of the dress. Baste the collar to the bodice. Next, I sewed on my lining, sandwiching the collar between my bodice and the lining. Then I added my sleeves. Follow the instructions from your own pattern for the sleeves. When my bodice was done, I reattached the skirt and it's lining. I added an invisible zipper in the back. Please don't judge, I know I should have used white instead of black, but I couldn't run to the store and had to use what I had. HERE is a great tutorial for using an invisible zipper. The buttons in the front were the last touch. Now we have a perfect dress for the upcoming holidays. She loves it best layered with our favorite red cardigan. Doesn't that dress look like you bought it at a high end children's boutique? Wow. Thank you Kalleen! Great work. You guys can leave a comment for Kalleen here or visit her blog HERE. Here's what I want to know: where did that girl get those awesome boots?? this is great ! I really like these type of refashion ideas ! So pretty Kalleen! Cheri's right. You always come up with the best re-fashions. Your daughter is so adorable too. ooh, I love the transformation. Absolutely love the fabric too, and I totally agree with wanting to cry after every visit to fabric stores! :) Thank goodness for coupons, and refashioning! LOVE! And I like the black zipper. It's cute with the buttons! Darling and the boots just add that extra cuteness to the outfit. I wish I had girls to sew for!!! I love this fabric! What a sweet dress! Oh my goodness, she looks darling, esp. with the cardigan! I love your vision and creativity. Beautifully done and fav red cardi is perfect with it. the dress is perfect! and kalleen, the black zipper looks fine, you can even see it! Absolutely adorable! I feel that sewing is such a lost art to so many people our age. Thank you for your inspiration to brush up my sewing skills and learn more! Now...if only I could convince my husband we needed a little girl to sew beautiful dresses! I guess I will have to be patient and enjoy building pirate and cowboy outfits! I wish I lived next door to Kalleen too!